Reading books with no words . . .
You’ve probably read, or at least heard about The Book with No Pictures by B.J. Novak. If you haven’t, I would definitely recommend it. It’s silly and fun, and also a bit of a novelty because, let’s face it, most children’s books have pictures! But this blog is actually about the alternate universe of Mr. Novak’s book: picture books with no words. Every time we check one out from the library, I’m surprised by how much my kids LOVE them. Dr. Joanne Meier in her blog about reading Sound it Out, says that reading books without words helps to develop many literacy skills including: listening, speaking, storytelling, vocabulary, comprehension, story structure, inference, cause and effect, and many more. There are probably thousands of books out there with no actual printed words, but these are a few of our family’s favorites. With two super-reader kids who check out probably 20 books per visit to the library, I’ve seen my fair share of children’s books. The biggest surprises tend to be how often the books with no words end up chosen at story time. 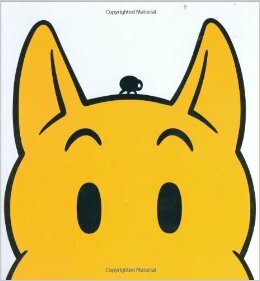 It started with Bow Wow Bugs a Bug by Mark Newgarden and Megan Montague Cash. The first time we read that one, I thought it would go back in the bag, never to be seen again. Wow, was I ever wrong! Not only did we read it everyday, we exhausted our renewals, took it back to the library, and checked it out again the next time we went to the library. 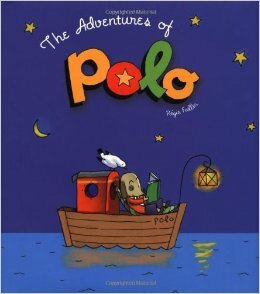 Next up, The Adventures of Polo by Regis Faller. This one is a looong one, people. And because it has no words, the story can literally take an hour to read. This might be why this one is a favorite, because what kid doesn’t want to delay bedtime? 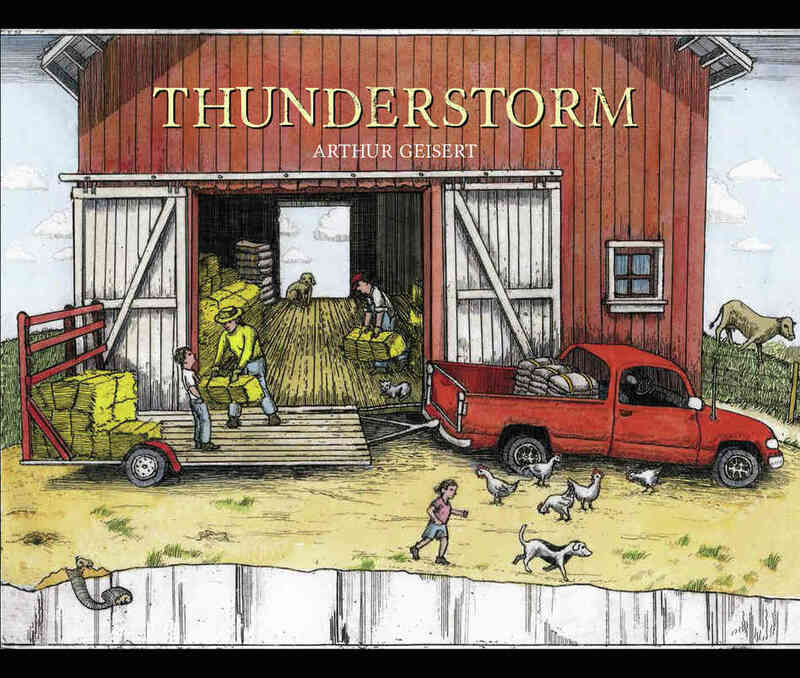 Thunderstorm by Arthur Geisert was a favorite of my two-year-old son, who does not sit still for much of anything. He would stare at the pictures in this book for a VERY long time, though. I think it’s because there are a lot of hidden animals and trucks/tractors. It’s one continuous illustration, and it’s fun to find the connecting points from page to page. (He actually came in while I was typing this, saw the picture, and we had to talk about it all over again. He told me he, “Miss at the library. We see it again.” I guess I know what will be in our bag next time. 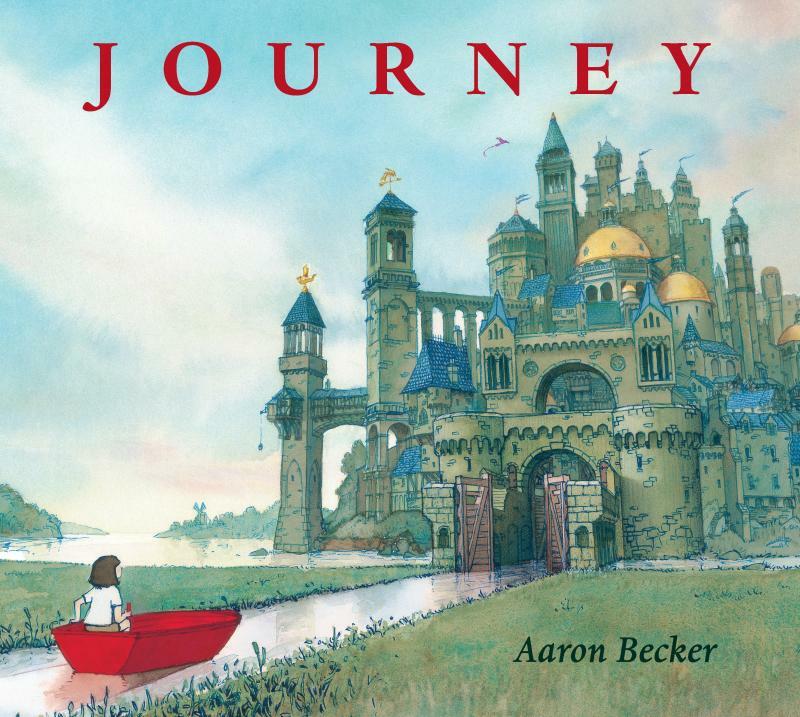 Finally, Journey by Aaron Becker was a recommendation from my mother, who is a children’s librarian. The illustrations are magnificent, and the ways in which you can “tell” the story are endless. I suppose there is a reason why this one is a Caldecott Honor Book. What’s your favorite book with no words? We all have one song that gets us pumped. My new anthem is Rachel Platten’s Fight Song. Seriously, there are days when in-between getting laundry done, making meals, making snacks, breaking up the 101 scuffles that happen on any given day, making more meals and more snacks, and basically just trying to hold it all together, that nothing can keep me going like the perfect song. Imagine that you have two different volume dials in your brain. Just turn the chaos down to zero, and then crank your anthem to eleven! Sometimes I even picture myself in my own music video for said anthem . . . call me crazy . . . So what’s your fight song? Maybe we can start a playlist? This week’s review is Prisoner 88. 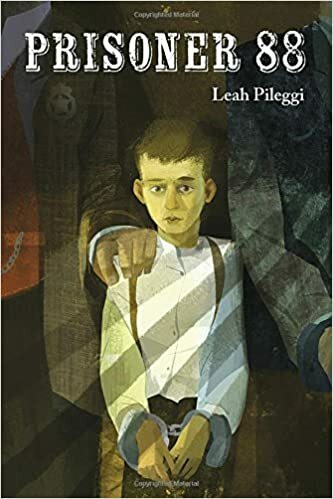 It is a “loosely based on a true story” book about a ten-year-old boy who is found guilty of murder in 1885 and sent to an adult prison. He might not have had an anthem, but he was a fighter. I was a bit surprised at how much I liked this book. The main character, Jake Oliver, has a, never-give-up, matter-of-fact spirit that is both endearing, frustrating, and inspiring, I think it’s the perfect read for kids and adults alike. The only downside to this book is that it’s written in a bit of an accent, that takes some time to get into. This type of writing can be difficult for younger readers, but I think that the characters and the situations are drawn so clearly that the accent becomes secondary. There were just so many levels to this book, and each one helped to build it into something that left me feeling hopeful and encouraged. My kids, like most, have a dress-up collection that includes everything from old Halloween costumes to scarves to miscellaneous scraps of junk that find themselves repurposed into everything from lasers to magic wands. Then there are the hats. So many hats. Watching my daughter try on almost all of her hats (at the same time, of course) made me start to think about the different “hats” that I wear. Wife, mother, children’s author, cover designer, editor, avid reader . . . these are a few of the hats that I wear. And now I add “Blogger” to the mix. The strange thing about the blogging hat is that I’ve had to find my own voice. It may seem strange that an author wouldn’t have her own voice, but I’m finding my voice outside of the hats that I put on. I’m finding MY voice, and as I continue to blog and share what I love–my family, reading books, creating books, designing book covers–I’m finding that my voice is becoming this strange combination of everything that I do. I know you more enlightened folks out there might be crying, “Duh!” But I’m guessing there are a few others looking for their voice, as well. Sometimes we get lost in choosing a hat, and forget completely about the head we’re putting it on. I initially thought that I would make this blog very formulaic: funny kid story, bit of wisdom, then a book review. But it’s becoming more about who I am as a person, a person who wears many hats that sometimes feel too small, yet are usually too big, but occasionally fit just right. I recently finished the first installment from Chris Colfer’s Land of Stories series, The Wishing Spell. I REALLY wanted to LOVE this book. It had everything going for it, all the action and adventure and lightning fast pace that I usually enjoy in a middle grade book. Last week, I reviewed Rump by Liesl Shurtliff, which I found be formulaic but enjoyable. This week I finished The Wishing Spell by Chris Colfer (of Glee fame), and I wish I could say the same. Unfortunately, The Wishing Spell fell into a cliched and predictable pattern. I REALLY wanted to LOVE this book. It had everything going for it, all the action and adventure and lightning fast pace that I usually enjoy in a middle grade book, but I just did not like it. I don’t think I was supposed to like this book. This is a middle grade book that is written for–gasp!–middle grade kids. This book is for kids who are just discovering fairytale retellings. It is written in a very approachable way. While I, personally, found it over descriptive and REALLY predictable, I’m guessing that a fifth grader would be totally immersed in Colfer’s new telling of some very familiar tales and characters. I also think they would completely relate to the two central characters, Conner and Alex, who literally fall into The Land of Stories.